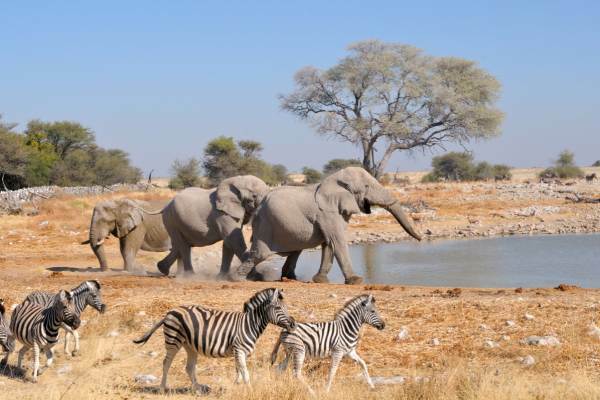 An accommodated tour taking in the very best of Southern Africa. 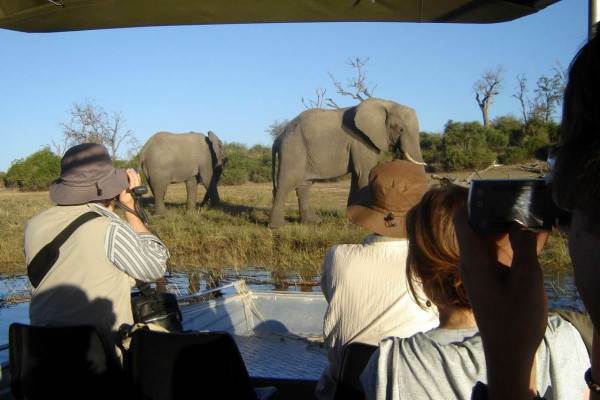 Experience the Big 5 on game drives in the famous Kruger Park, exploring the wilderness and waterways of the Okavango Delta, sunset cruises down the Chobe river, view the mighty Vic Falls, track rhinos in the historical and scenic Matobos - these are some of the highlights of a tour that offers a wildlife, cultural and scenic bonanza. A highly recommended safari. Our adventure begins with an early start from Johannesburg as we travel east to the scenic province of Mpumulanga. We enjoy a stop at the famous Blyde River canyon and take in the “Three Rondawels”, and the spectacular surrounding scenery. After lunch we head for our accommodation located a short distance from the Kruger Park. Today is spent exploring this amazing area and partaking some of the activities on offer. The second part of our tour begins with an early departure from Victoria Falls. It is a fairly short drive to the border and then on to Kasane - a small wilderness town on the edge of the Chobe National Park. It is not unusual to encounter elephants or buffalo in the streets of Kasane. After lunch there is an opportunity to do an optional 4x4 game drive in the Chobe National Park. 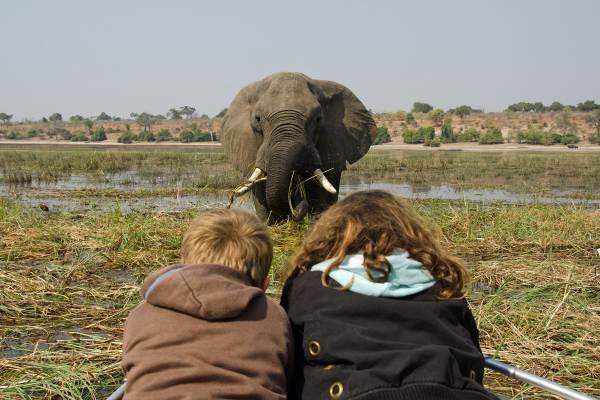 The Chobe is well known for its huge herds of elephants and a high concentration of predators. In the late afternoon we enjoy a cruise down the Chobe River. 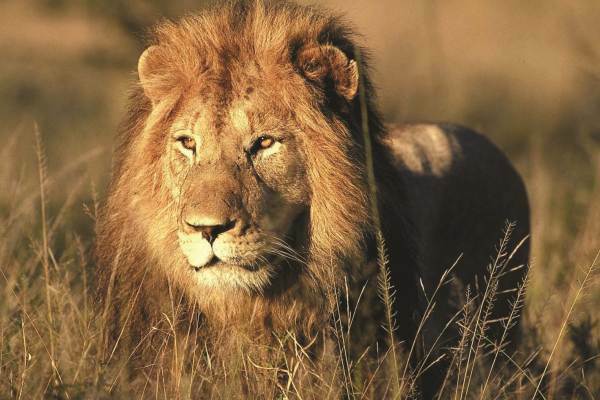 Expect to encounter elephant, hippos, crocodiles and a large variety of antelope. Have your cameras ready. Note it is advised that clients arrive a couple of days before departure to experience the magnificent Victoria Falls. 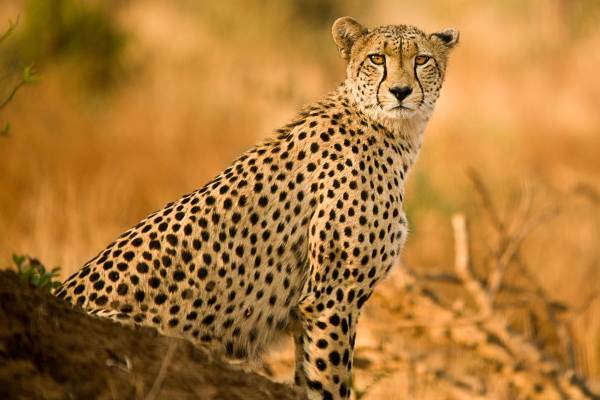 The final day of our Kruger Park, Victoria Falls and Okavango Delta tour sees us crossing the Limpopo River and travelling through South Africa to the bustling city of Johannesburg. We arrive in Johannesburg in the late afternoon.